Here is a step by step tutorial on the best way to hang a large wall mirror. 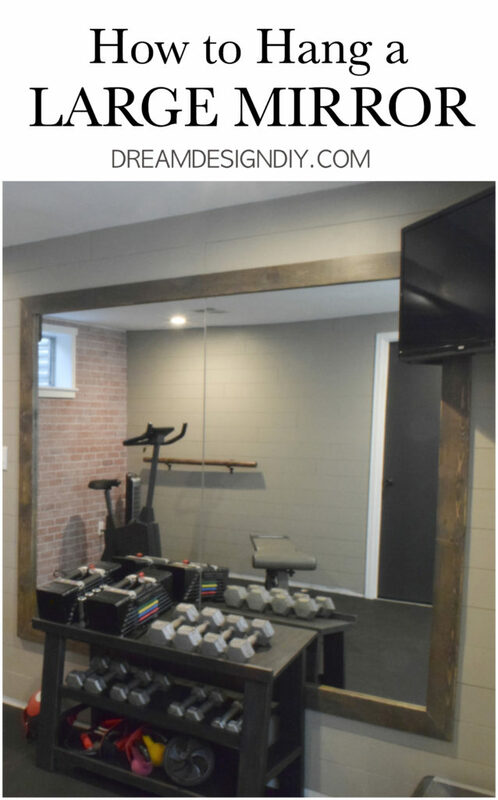 When we were designing our home gym remodel we knew that a large mirror would be perfect for the space. We mounted two large mirrors that each measured 5 x 3 ft, weighed 31 lbs. and then we added a wood frame. For this post I will show you how we mounted the large mirrors. I will post in a few days How to Add a Wood Frame to a Large Mirror. 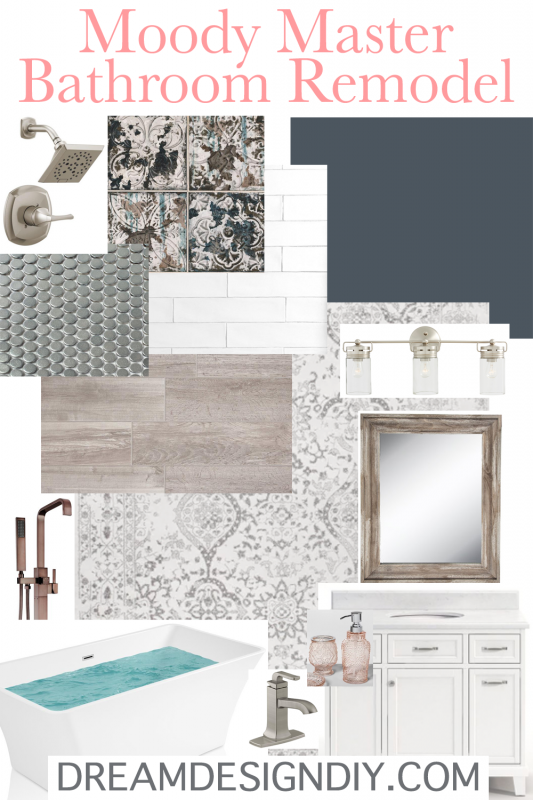 When we were in the process of hanging our large mirrors our research revealed that there are a few different options on how to go about this. When deciding which mounting hardware to use consider the weight and size of the mirror, type of wall material to be mounted too, function of the mirror, and a frameless or framed mirror. 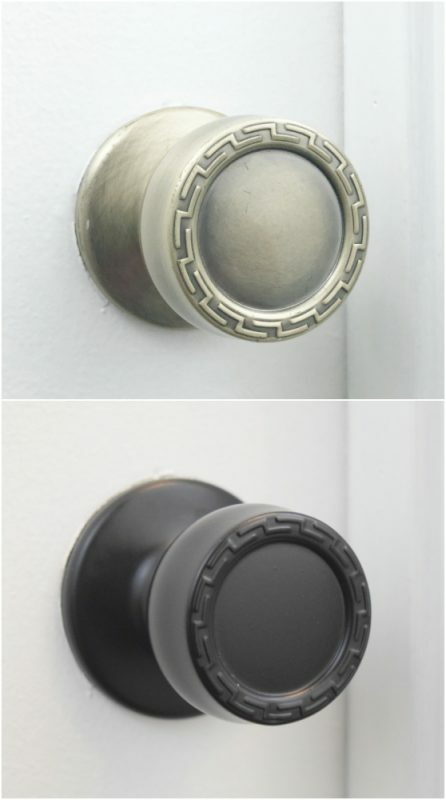 Mounting tape – double sided tape that mounts to the wall and the back of the item. No tools required. This mounting technique is reserve for smaller mirrors that weigh less than 10 lbs. and can be framed or unframed. D rings and picture wire – the mirror must have a frame around it to hang a mirror this way. This requires attaching D – rings to the back perimeter of the mirror frame, wrapping wire around the D – ring and then attaching one or two hooks to the wall and hanging the mirror by the wire. 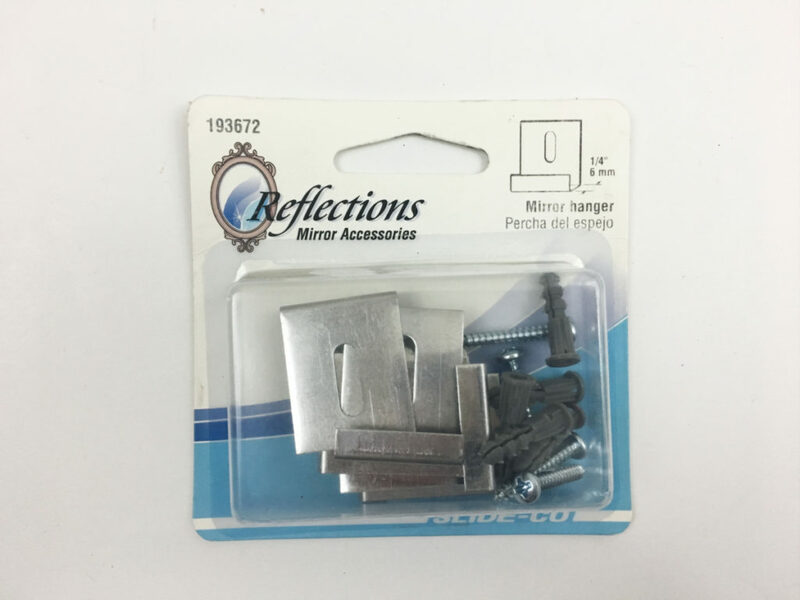 Mirror cleats – mirror cleats are metal mounting brackets that interlock for support of heavy items. 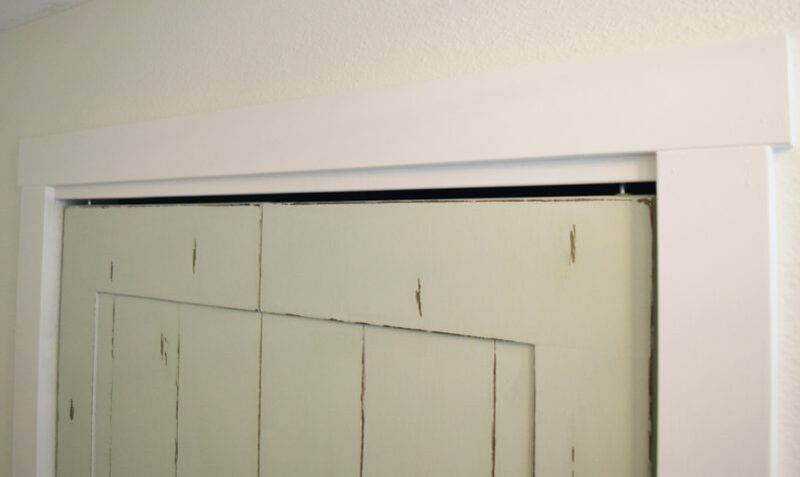 One metal bracket attaches to the wall, one attaches to the back of the mirror and then they interlock. Construction glue – construction glue is a strong adhesive that supports the weight of the mirror to stick to the wall. 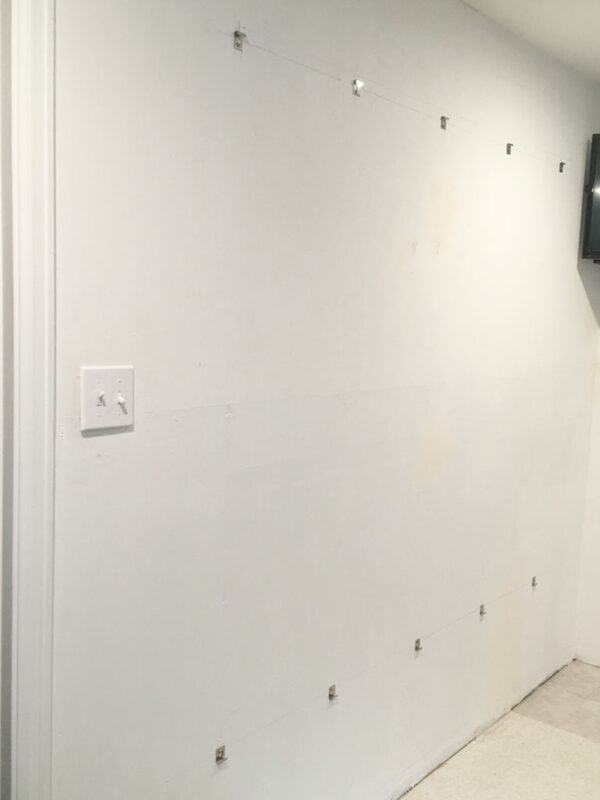 If the mirror is removed more than likely the drywall underneath will need to be replaced. In general the proper height is eye level at the middle of the mirror. This means that the middle of the mirror should hit between 57 – 65 inches. Keep in mind the function of the mirror could effect the height to hang it and if it will be above any furniture. 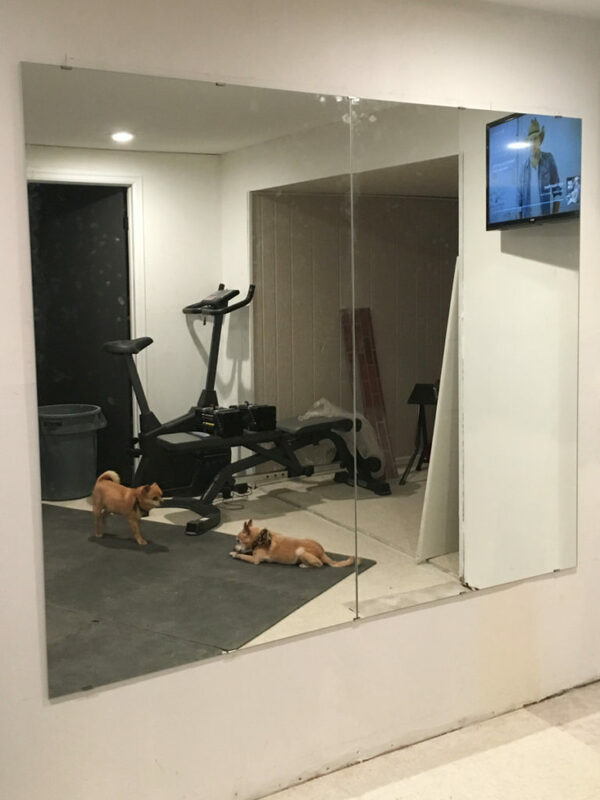 Since our mirrors were located in our home gym they would function for checking out my amazing six pack and massive biceps our form when lifting weights and doing exercise moves. So therefore placement was key to be able to see various high and low moves from multiple places in the gym. We placed our mirrors about 18 inches from the ground. 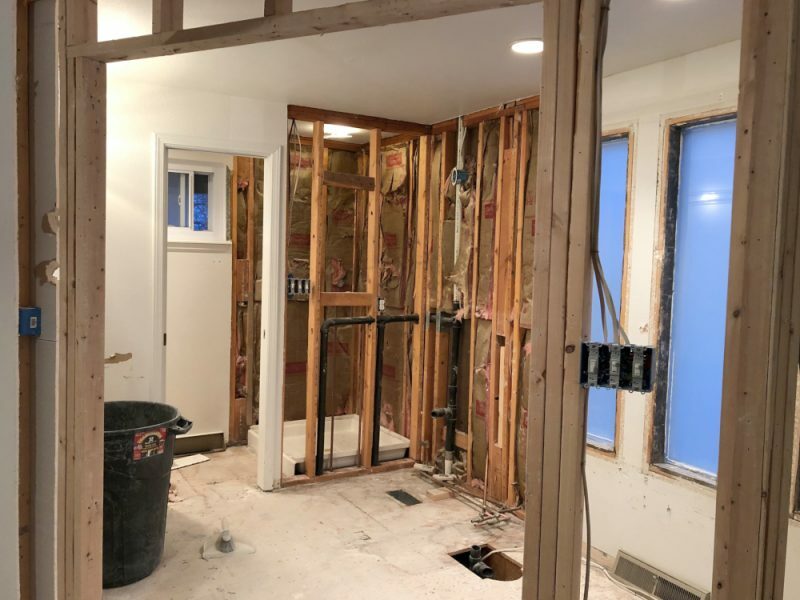 Due to the size and weight of our mirrors we opted to hang these in studs and not just use anchors in the dry wall. Also knowing that we were intending to place a wood frame around the mirror we wanted the least obtrusive clips we could find. We opted for these stainless steel ones from Ace Hardware. We bought a total of 12 and used 10. For all my projects I recommend using specific Safety Gear. Since you will be working with power tools I recommend safety goggles and ear protection. Step 1) We used a measuring tape to mark where we wanted the top and bottom of the mirrors to hang. We marked the studs using a stud finder. Then using a level we drew a line to reference the placement of the mirrors, screws and clips. Then we installed the clips. Step 2) We inserted one mirror into the bottom clips then slid the top clips down to lock in place over the top of the mirror. Then we repeated this step for the next mirror. It seems that the corners and edges are delicate and we cracked it in a couple of spots…oops. Later we added a Wood Frame to the Mirror so it looks like this now (post will be up in a few days). I love your gym!!! 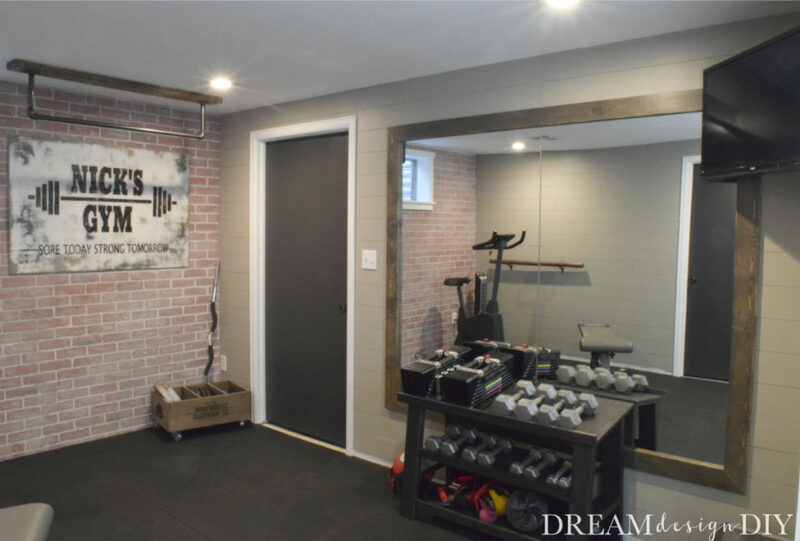 We are getting ready to start re doing our home gym in the basement , and the room has no windows. I am wanting to add a large mirror like what you have, but they are really expensive! Where did you get your mirrors at , and how much were they? Thanks for the question. We bought two mirrors at Home Depot they were around $50 each. Before we bought the mirrors we did look on sites like Craigs List first to see if anyone happen to be selling some large mirrors for cheaper, but we had no luck. Let me know if you have any other questions, I love to help!